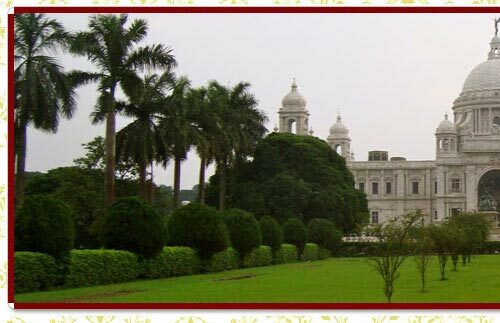 The city of joy, Kolkata or Calcutta is the intellectual and cultural capital of India. A haven for intelligentsia, art lovers, musicians, and theatre artists, Kolkata was the former capital of British India. The most densely populated city of India, the city offers glimpses of the historical monuments, boating at Howrah Bridge, horse race-track, soothing golf course. And during Durga Pooja, the city sheds all its inhibitions and loves to splurge during the celebratory times. Main Attractions: : Indian Museum, Maidan & Fort William, Victoria Memorial, Kali temple & Saint Paul's Cathedral, Howrah Bridge, Tagore House, Belur Math & Dakshineswar Kali Temple. Geographic : Capital of the Eastern state of India, West Bengal, is the throbbing cultural heart of India- Calcutta. Famous for: Rechristened as Kolkata, Calcutta is famed for its British architectural heritage and a brooding ground for art. By Air : Calcutta is well connected both nationally as well as internationally. By Road : Darjeeling, 8 hours. By Railways :Howrah & Seldah stations connect Calcutta to most major Indian cities. The most densely populated city of India, the huge sprawl of Calcutta had humble beginnings in the 17th century when it was little more than a British trading outpost, however it was soon to emerge as an important center, first of British imperial power in India & then later as the epicenter of India's cultural & political renaissance, leaving a rich legacy behind, something which can be experienced as part of Calcutta city guide. This grand building reminiscent of the days of the Raj is amongst the best treasure troves of India's historic antiquities. The entrance itself is dominated by the imposing Mayuryan Lion Capitol. The other artifacts date over 3000 years back, including many fine examples of statues, manuscripts, paintings & textiles. 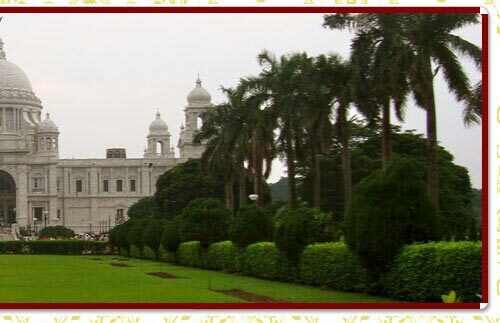 An important stop of Calcutta city guide, the imposing Fort William constructed in the 18th century became the primary power center of the British in India with its massive trenches & formidable fortifications. The fort is surrounded by a huge expanse called the maidan- Calcutta's lungs as well as the favorite perambulation spot for the people of Calcutta. At the southern end of the Maidan stands the Victoria Memorial, the most impressive remnant of the British reign in India. It houses a huge collection of important Raj memorabilia & antiquities, from paintings & busts to French guns captured at the Battle of Plassey or the black throne of the defeated Nawab. The ancient Kalighat temple is the source of Calcutta's name & is thronged by devotees of the goddess Kali. Near the temple is Mother Teresa's Hospital for Dying Destitute. Also nearby is The Grand St. Paul's Cathedral which has some great stained glass art. This palatial house of Rabindranath Tagore, his birthplace as well as final resting place is now the center of Indian dance, drama, music & allied arts. The place also hosts a light & sound show which however is in Bengali. Established to propagate the teachings of the renowned Indian saint Ramakrishna, by his famous disciple, Swami Vivekananda is the center of the Ramakrishna mission, located on the banks of the river Hooghly. Across the river is the famous Kali temple where Ramakrishna is said to have gained enlightenment.